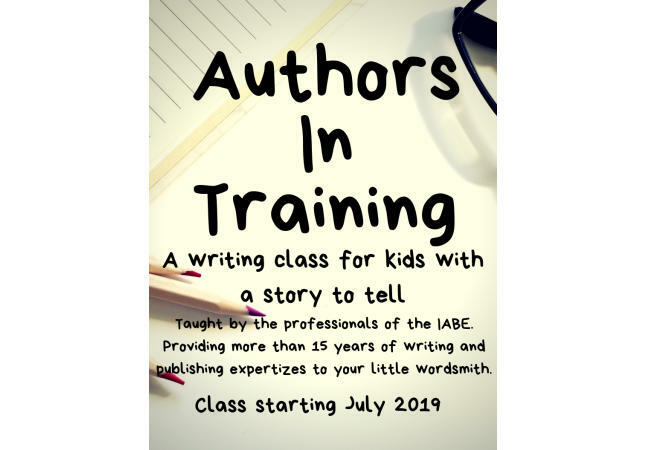 Classes for your little writer. 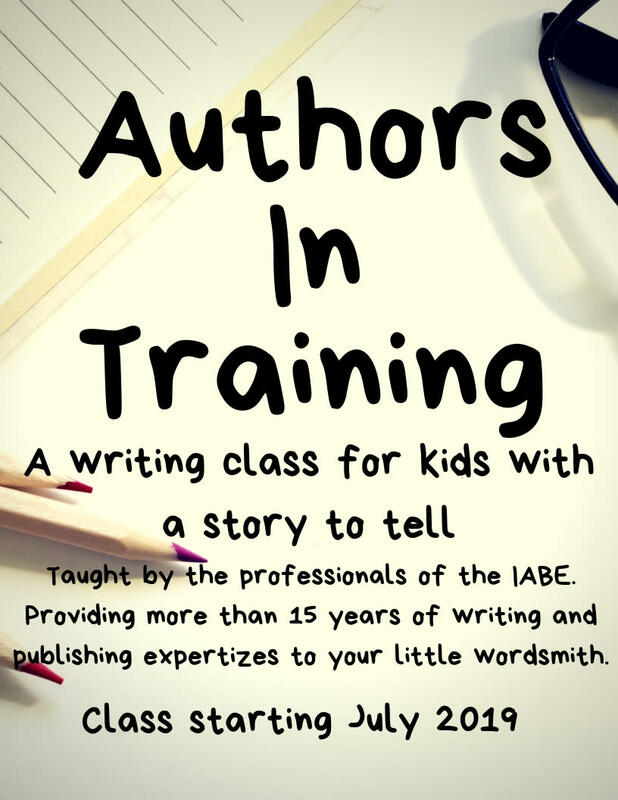 This is a 6 week course, hosted by the IABE (Indie Author Book Expo), for kids who love wordsmithing! We' expand upon what the learn in school, and foster a passion that could turn into a successful career. 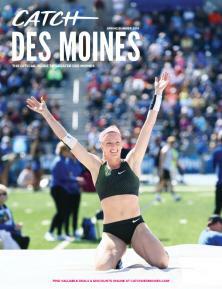 We will meet Saturday's at the Eastside Des Moines Public Library starting July 6th and ending on August 10th 2019. We'll be in one of the private meeting room (they have three meeting rooms, not sure which one, but I will have a sign on the door) from 1pm to 2:30pm. Seating is limited, supplies included with fee. $35 for single student, 2 for $50. We'll also host an awards evening after the 6 week session where students will share all their hard work with you and your family. They will then be presented with a certificate of completion, and a book with all the students submissions printed inside. This book is NO additional cost and will be given to the child, even if they can't attend our evening. At the IABE we work hard to unite readers, writers, and authors to build better books for our future.